Finally, the conclusion of the 11-part 2015 prospect series. This would have been published sooner if a certain Cuban infielder had already made a decision, but I can only sit on this piece for so long. Last year, the Dodgers were looking at a serious lack of depth at catcher for the foreseeable future. After a few months of the new decision-makers in town, the position looks to be in much better shape than it was 12 months ago. Austin Barnes: He’ll get some work behind the plate, but he probably won’t be the Dodgers’ starter at this point. Yasmani Grandal: Will be heading into his age-29 season and entering his final year of team control. Kyle Farmer: Will be 27 and likely organizational depth, if not with another club. Julian Leon: Will be through Double-A at age-21; could use another year in the minors. Spencer Navin: Might be the best defender, but no idea if he’ll be able to hit at age-25. Unless Grandal struggles with performance or health, it’s unlikely he’ll be displaced as the team’s No. 1 catcher. Barnes will be a nice backup/utility player, so the Dodgers could conceivably have another catcher on the roster (because of Barnes’ versatility). But Grandal is the most talented of the bunch. It just remains to be seen how much he’ll cost, monetarily. The Dodgers don’t have a no-doubt replacement for Adrian Gonzalez in the system, but he’ll have one more year on his mega contract by the time 2018 rolls around. Cody Bellinger: I’m a believer, but some aren’t. Could be in Triple-A at age-22 and knocking on the door. Justin Chigbogu: The 23-year-old’s power is legit, but so is the swing-and-miss. Doesn’t offer much defensively. O’Koyea Dickson: He’s unlikely to be in the organization at age-28; best-case scenario is a platoon situation. Adrian Gonzalez: It’s hard to see him being as productive at age-36 as he was at age-32, but his $21.5 million contract will keep him around. Julian Leon: Some say he could move to first base, but hopefully he shows he can handle duties behind the plate. 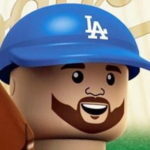 Scott Van Slyke: Will be 30 and still two years away from free agency. Might be the immediate backup plan. Who knows how effective a 36-year-old Gonzalez will be, but unless he’s traded (and this front office would be so bold as to do something like that), he’ll likely play out his current contract with the Dodgers. If he’s still productive, great. If not, well, the Dodgers don’t have a good backup plan at this stage. Van Slyke profiles better in the outfield, but he might be thrust into that role if Gonzalez can’t handle it. The Dodgers have some interesting options for this position — much moreso than third base (which is up next). Erisbel Arruebarrena: Will be entering the final year of his deal and still might be toiling in the minors. Austin Barnes: A much better fit behind the plate; bat will play at second. Enrique Hernandez: His versatility will keep him from being a full-time starter. Howie Kendrick: Would need to be extended; figures to be productive, even at age-34. Darnell Sweeney: Most likely a utility player at age-27, but could surprise and seize vacant second base spot. I’m not sure the Dodgers see Sweeney as the heir apparent to Kendrick at second base, so they might be inclined to offer the veteran a contract extension before season’s end, extend a qualifying offer or just flat-out re-sign him. A 3-to-4-year deal isn’t out of the question and might be the best thing to help stabilize the infield for the foreseeable future. Austin Barnes: Probably his “worst” position of the three he plays, will be 28 years old. Alberto Estrella: Had a rough debut in 2014, will only be 21 and likely still in the minors. Enrique Hernandez: Works much better as a utility player, but can handle it defensively. Corey Seager: The best option, but also might be the starting shortstop. Jared Walker: Won’t have enough seasoning and might have to move off third base anyway. Unless Seager moves to third base by this time, this spot will almost certainly be filled via trade or free agency. Hector Olivera comes to mind, but there’s uncertainty about his health and other teams (Braves, Padres, Marlins) have interest in him. And that reported $77 million offer is BS. The internal options are less-than appealing, hence having to throw the team’s backup catcher into the starting role. A wide spectrum of options here (great bat/questionable glove, great glove/questionable bat), but talent usually wins out. Erisbel Arruebarruena: Easily the best glove, must prove he can hit, will be 27. Moises Perez: Second-best defensive shortstop in the system, will be 20 and likely not ready. Corey Seager: Impressing in 2015 spring training, would be the tallest regular shortstop in MLB history and 24 years old. Ivan Vela: College draftee in 2014 who could surprise, but might also have to move off short. Seager could easily slide over to third base and become a plus-defender at the position — and might need to out of necessity. But to maximize the value of his bat, it’d behoove the Dodgers to keep him at shortstop, even if he ends up being just a fringe defender there. The big question: Do you go with the veteran or the young(er) buck? Why not both? Michael Medina: One of my favorites, might be a little too soon for him to be in the majors (age-21). Big power potential. Scott Schebler: Will be 27 years old and may have been traded by this time, but also could be the starter. Scott Van Slyke: Also a trade candidate, Van Slyke could be the starting left fielder or even in a platoon situation with Schebler. For the sake of argument, let’s just assume this is a productive platoon of Schebler and Van Slyke. That projects to be quite the formidable duo, actually. Both are adept at extra base hits and profile as at least average defenders in left field. Only thing is, Van Slyke will be in his second year of arbitration and starting to get more expensive. This should be as easy to project as right field is going to be. Devan Ahart: Had a strong debut in 2014, will be 25 and is somewhat of a sleeper in the organization. Joc Pederson: Will be 26, arbitration-eligible for the first time and likely entrenched as the starting center fielder (and potential leadoff man). Ariel Sandoval: Solid defender, hasn’t hit much yet, will be just 22 and likely still in the minors. Alex Verdugo: Almost a carbon-copy of Pederson, will be 22 and likely in the same spot Pederson was in last season. Pederson should be entering his prime after a few good seasons as the Dodgers’ starting center fielder. He’s going to strike out, but he’s also going to walk and hit a lot of balls over the fence. Verdugo could displace him as soon as 2019, at which time he’d slide over to left field and potentially become a plus-defender. Joey Curletta: The will-be-24-year-old has big power potential, but hasn’t gotten to it in games yet. Yasiel Puig: Should be entering his final arbitration season, unless he’s signed to a long-term deal, will be 28. Unless something terrible happens, Puig will be the Dodgers’ starting right fielder for many years to come. He’s the most talented athlete in the organization. By 2018, most of those maturity ability questions should have been answered and he is a perennial MVP candidate. This concludes my 11-part 2015 prospect series. There will be more entries as the season progresses, but for now, I’m all out.